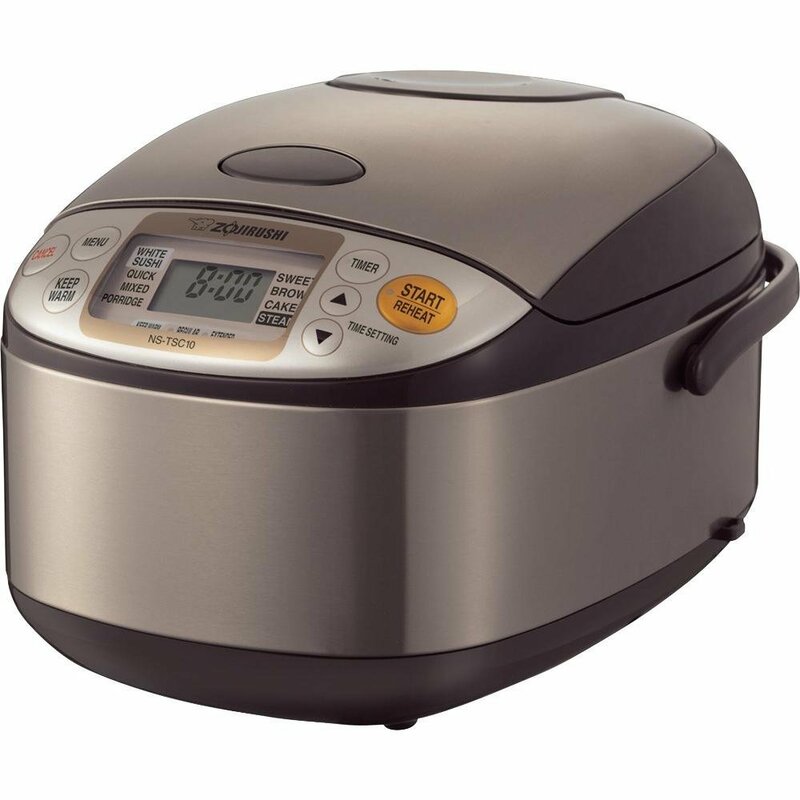 This inexpensive attractive Instant Pot IP DUO60 rice/pressure cooker will make you the perfect batch of rice, but you can also use it to create dozens of other delicious dishes. This sleek looking appliance can be used to make roasts of any kind and steam an assortment of veggies. This pressure cooker comes with an inner pot that allows you to make up to six quarts of the meal of your choice. It won’t take up a lot of counter space either, measuring just 13 x 12.6 x 12.2 inches. The cooker weighs 12 pounds which means it isn’t hard to move around the kitchen or be pulled out for use. Designed with the busy family in mind that doesn’t have the luxury of hours to create dinner, this cooker won’t consume a lot of your precious time to create a meal. It has a compact and sleek design. It isn’t bulky or over-sized. What a treat to enjoy a top-rated appliance that allows you to cook your food easy and efficiently and that is pleasant to look at so that it can be kept out in the open. This multi-function appliance can do the work of seven. It is able to pressure cook, slow cook, make yogurt, steam and keep your food warm as well as make rice, saute’ and brown your food. It has 14 digital “Smart Programs” and works on three temperatures when used as a slow cooker and as a way to saute’ food. The bottom part of the cooker is made of stainless steel. It uses 70 percent less power than traditional appliances. Vegetables, both fresh and frozen, are able to be steamed in as little as two to three minutes. If you are looking for a healthy way to prepare your food with your family’s busy lifestyle in mind this appliance delivers all of that and more. With the handy removable inner pot that the Instant Pot IP DUO60 features, cleanup can be done on the appliance in a snap without any elbow grease. Since you are able to do so many types of cooking with this appliance you are sure to find it the one thing in your home that doesn’t sit forgotten about in the back of the cupboard. Enjoy a safe dependable way to make all of your family’s favorite foods in a faction of the time it usually takes.